The hardest part about having to take some time off running for an injury is that it feels like a betrayal. Here's this hobby that makes you feel strong and fit and whole in so many ways, and it's turned against you. Instead of making your body feel strong, it's done the opposite! 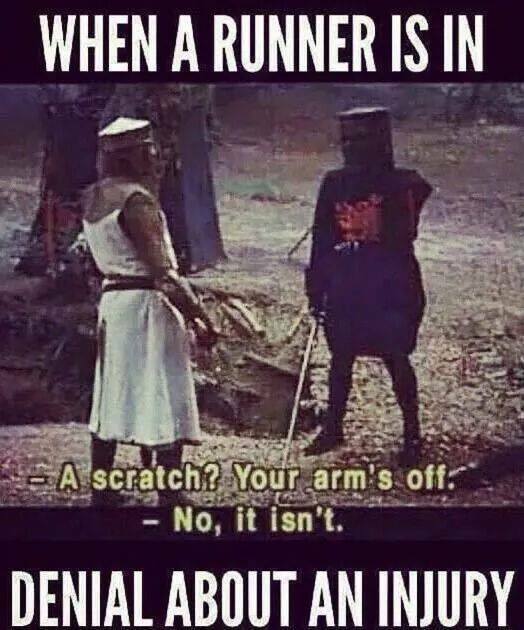 And with every run, you're in denial. Is this pain real or in my head? Is it getting worse? How much time off do I need to take?! It's like when you're suffering from a breakup and you want your best friend to comfort you but your best friend is the breakup-er. I mean, that's some 90s-teen-TV-drama, you know? Classic. I knew The Hills would have an appropriate gif for this analogy. But then you make amends, and coming home feels so, so good. I ran on Monday. I went into it feeling lethargic - inertia had definitely set in from two weeks off and lots of holiday relaxation. It didn't take me long to warm up, though. This is an unedited photo of the start of my run. With this view, how could I not get into the mood immediately?! That's Matt on his OneWheel on the grass. I didn't wear my watch and I just went by feel. 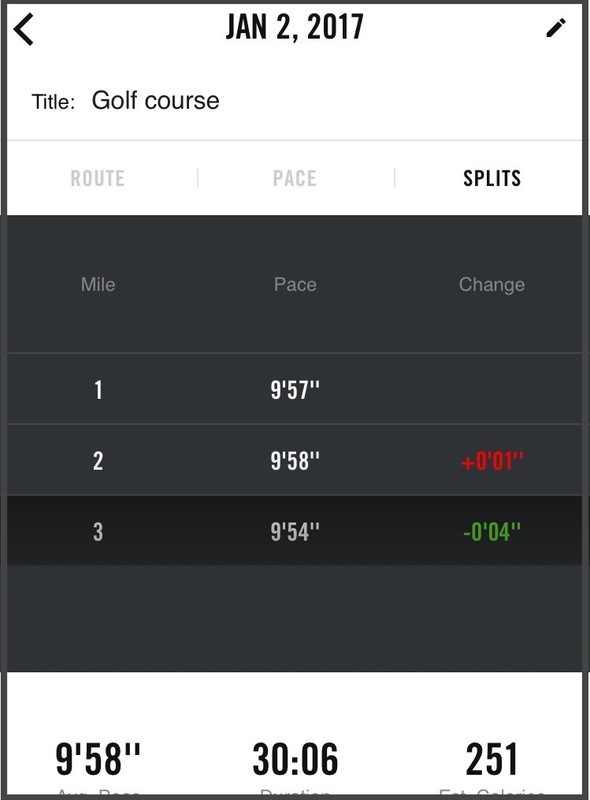 My splits ended up being very even, which tells me that listening to my body is the way to go. (Go figure.) My calves were "sensitive" in the way that I was hyperaware of every sensation in them, but they were pain-free. My Garmin was dead so I downloaded Nike+ again and just stuck my phone in my belt to be forgotten about until the end. The run felt like starting fresh. It felt like a "welcome back." It was with some trepidation that I ran Wednesday. Was it a fluke? Are my legs truly healed? It certainly looks that way! Although I had the usual "We haven't run in 14 days why are you doing this to us again?!" muscle soreness, my calves didn't even ping on my radar. Plus I had my buddy back! I'm going to keep on taking it easy; I'll ease my way back in and get back to with training. For now, I'm just basking in the thrill of a couple pain-free, watch-free, enjoyable runs! Omg, I could have wrote this! yes, yes, yes...to everything you said. I have felt so many times like my body is betraying me, it just won't hold up and I am so impatient. I am really not sure if I am totally out of danger zone, because while I felt fine on my run I feel some things now and my mind is playing games. That view is fantastic and it must be good omen :) I am glad your run went well and you are feeling pain free! Yes, I never know if I'm in the clear for SURE, or if I'm not...or if I'm just being paranoid! Recovery is the hardest when you just start to feel better lol. Glad to see you back out there. Hope you remain pain-free for 2017. I am glad there is no pain for you !! I love the way you wrote this, I remember having this thoughts after my marathon and having pain in my calves... I went through the whole "Why are my calves killing me? Why do they hate me" breakdown. I just love the way you write, so elegant and eloquent, thank you! This is seriously the NICEST and best compliment I could ever receive, about my writing. Thank you so much for making my day! Runners are so funny - we'll run through injury until we absolutely can't, and then afterward we get super paranoid about EVERY twinge! You're so sweet, but I look like crap in all of my post-run pictures haha! I think YOU'RE the photogenic one! Ahhh- The Hills, I miss that show! YESSSSS! I'm glad it was pain free! I wasn't aware you took the time off. It seems like it was a good move. I know that hyper awareness you speak of SO WELL. Yeah, I hated to do it, but it coincided with winter break so it was good timing, I guess. AWESOME! I'm so glad that your calves are feeling better. My calves are definitely feeling much better these days too. I have noticed that they are sensitive to what I eat (anything salty and I seem to retain water in them), and they also really like when I sleep with compression socks on. I have had to seriously bulk up my collection of compression socks now that I am wearing a pair to run and a fresh pair to bed every night!